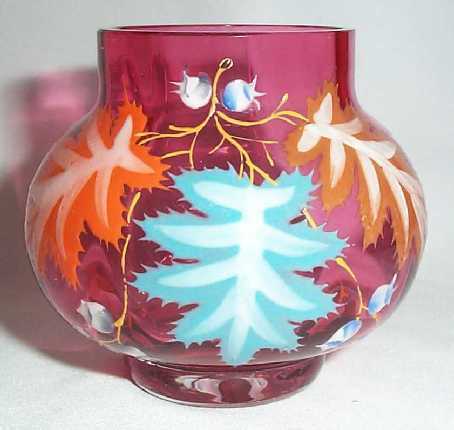 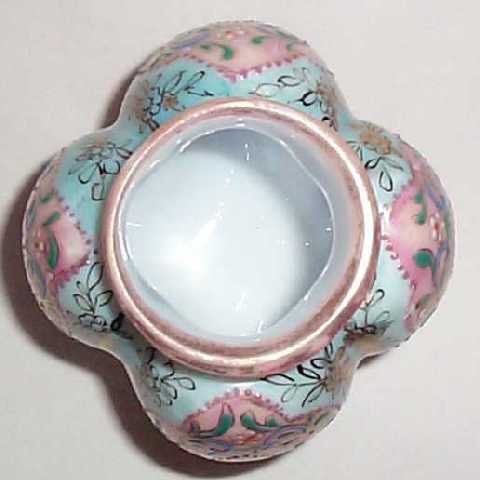 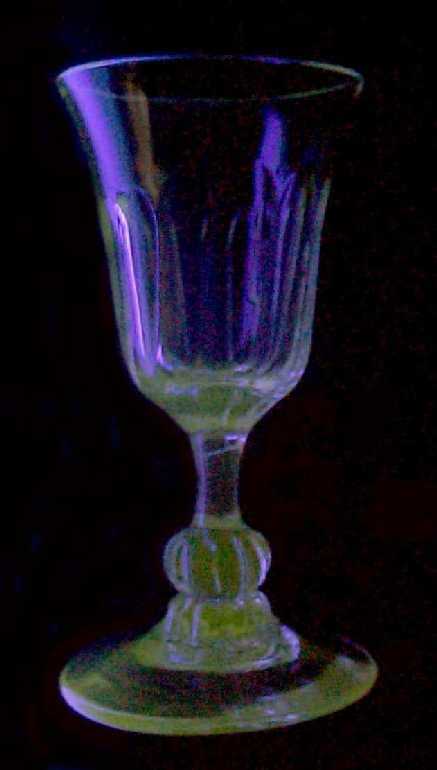 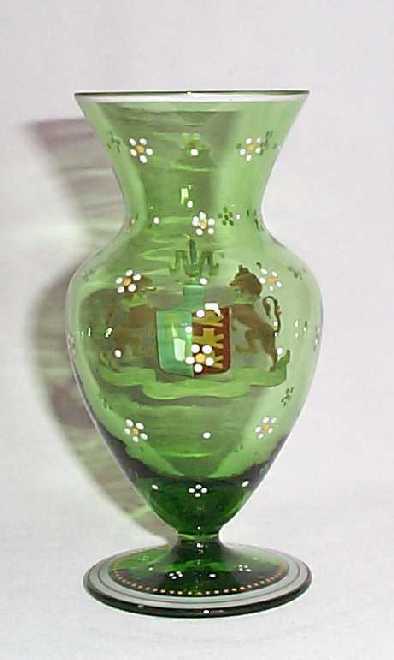 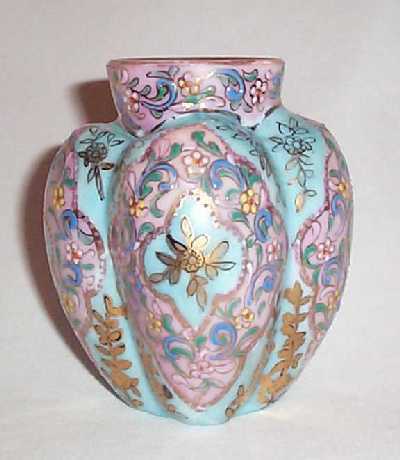 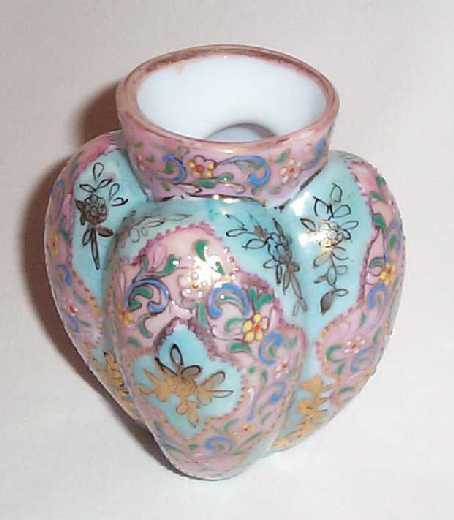 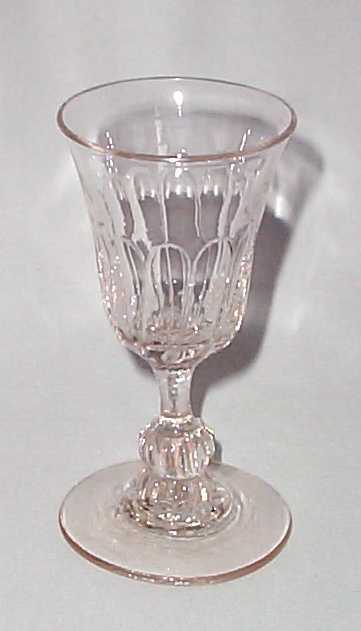 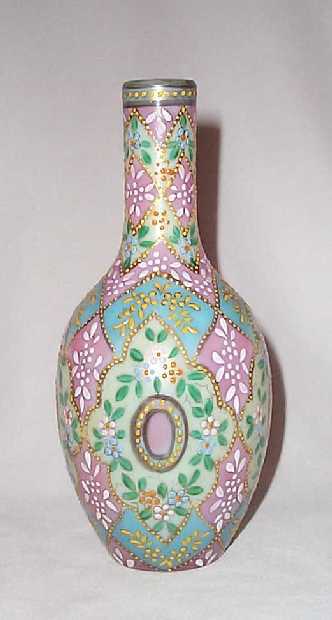 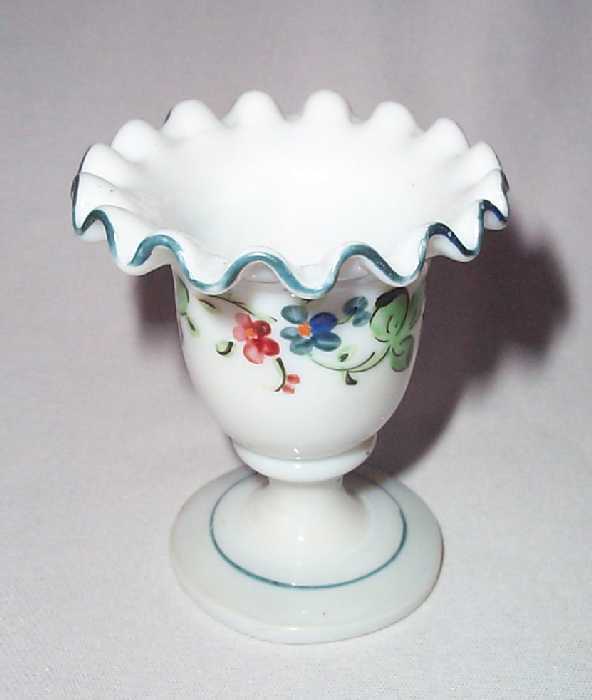 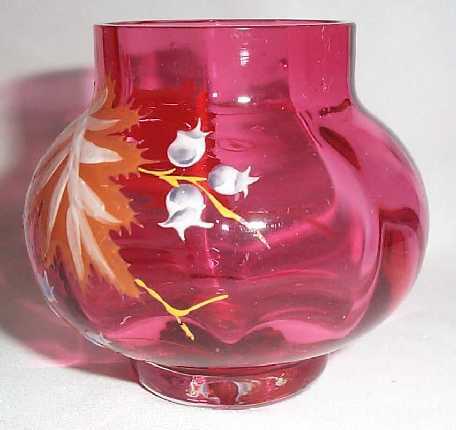 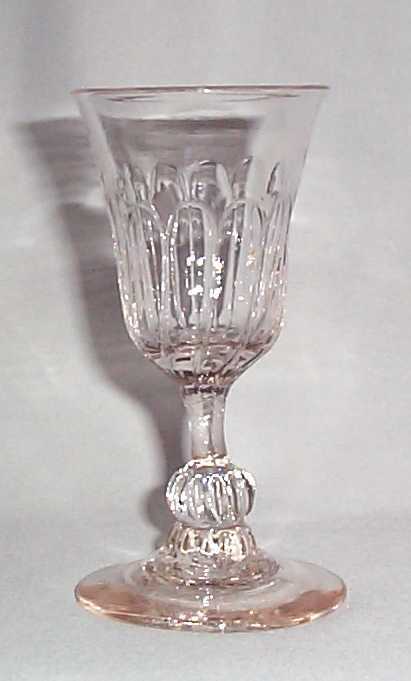 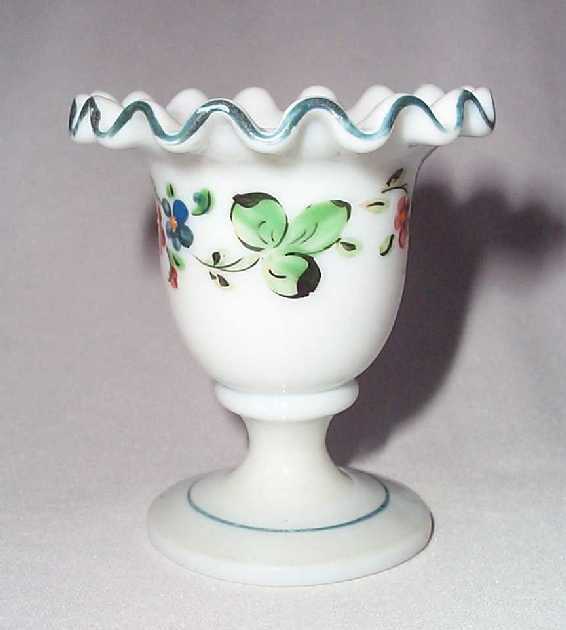 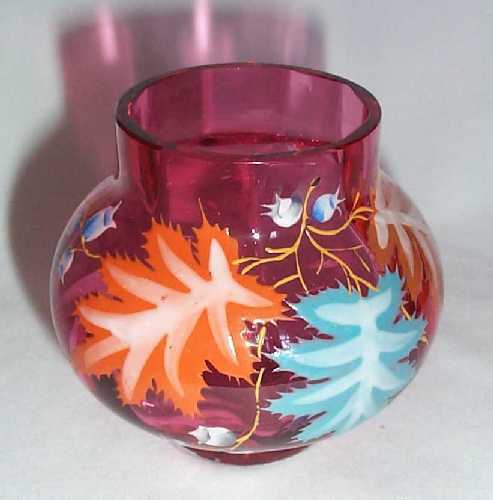 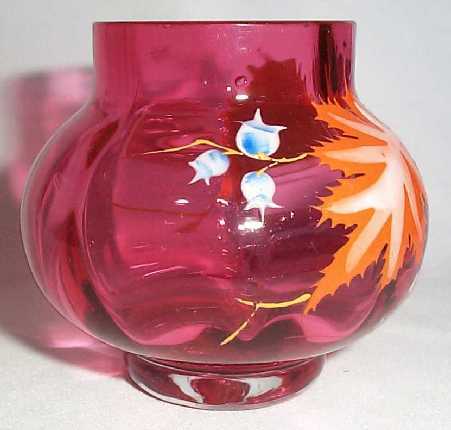 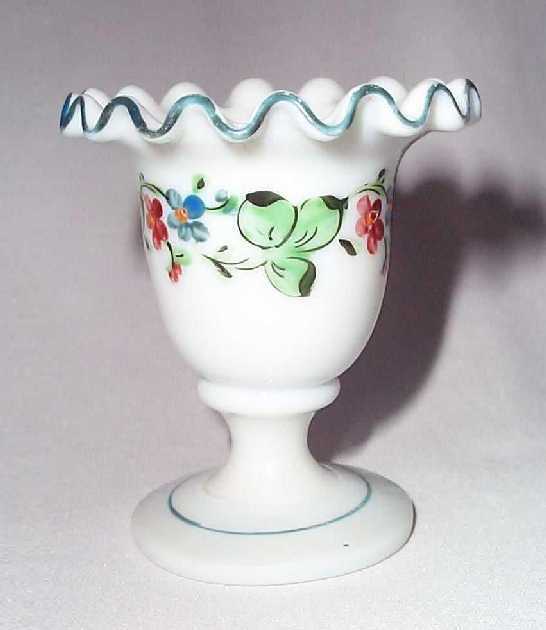 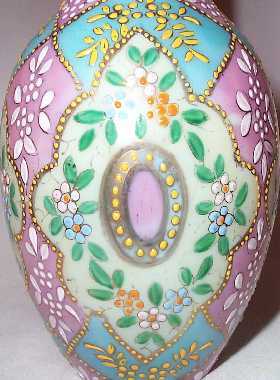 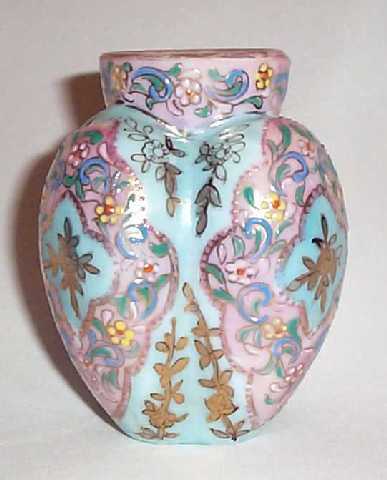 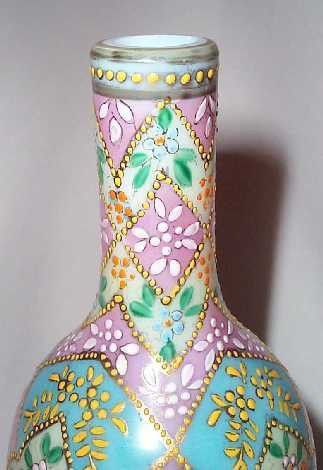 Another vase with similar decoration, this one of lobed shape. 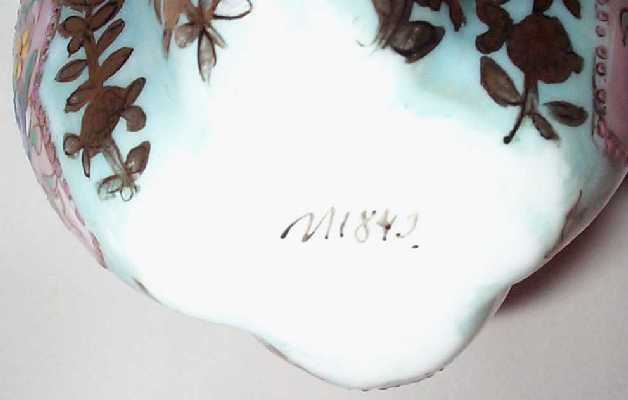 The base of this one is numbered 'M 1843.' 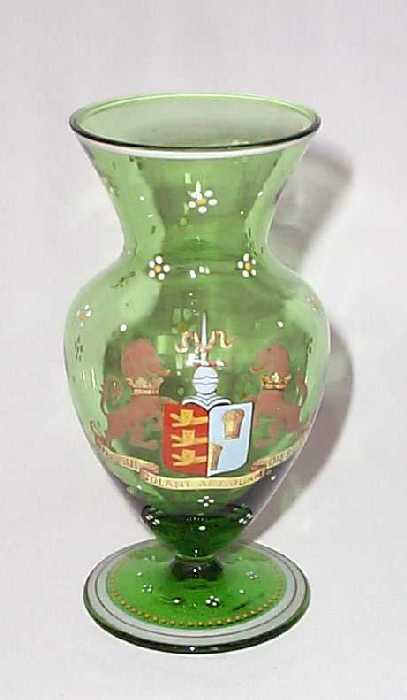 in black enamel (right) - could this be the year it was actually made? 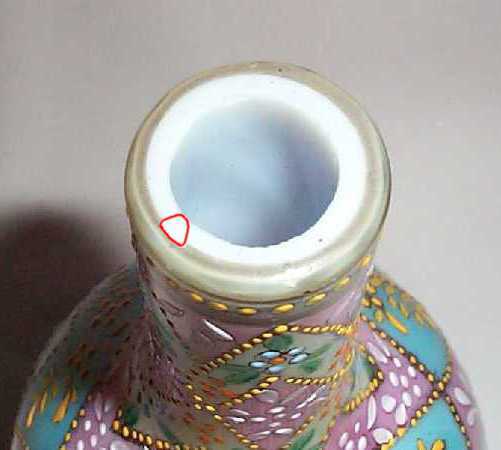 Here's an interesting object! 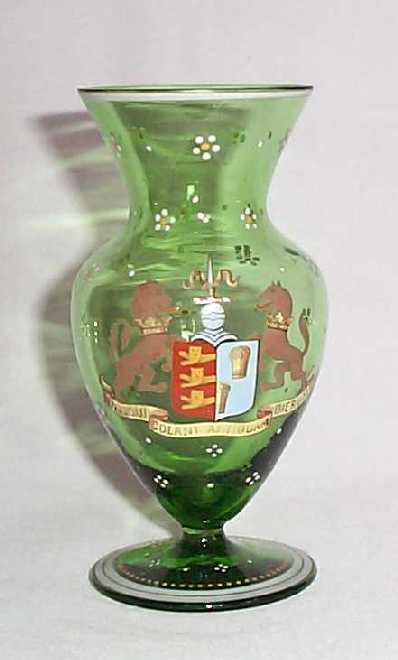 It's a late 19th C 'armorial' vase, made and hand-enamelled in Bohemia. 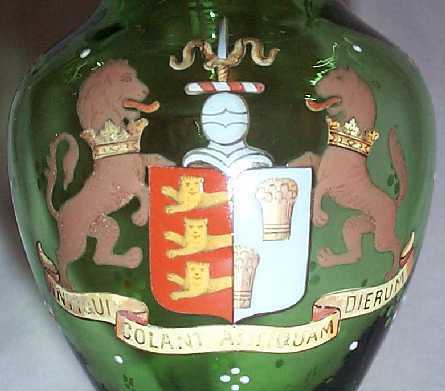 We initially assumed that the arms (see detail at second right) were of somewhere in Germany (as they usually are), but a quick 'Google' proved that they are the arms of the English city of Chester (right), so the vase must have been commissioned by an English importer.